Manufacturer of a wide range of products which include Flush & Faucet such as Smart Faucet, Smart Flush and Smart Flush System. We offer high quality products which are available at market leading prices. The New Smart Faucet from Siemag is a hill-featured Automatic Hand Wash System. A system that converts your washbasins into a "hands free operated fixture. The unique universal design of the Smart Faucet allows you to save eater on water. The infra red sensing technology senses the movement of your hand & activates the flow of water the moment your hand movement stops the water flow stops this avoids the misuse of the taps which are left unattended (like at public pieces, corporate offices...etc). These Faucets are the only ones that are come with heavy-duty Brass valves.The new smart Faucet from Siemag is a full - featured 'Automatic Hand Wash System'. A system that converts your washbasins into a 'hand free' operated fixtures. The unique universal design of the smart Faucet allows one save water on water. 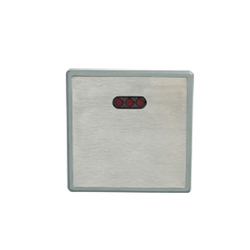 The infrared sensing technology senses the movement of hand and activities the flow of water. The moment hand movement stops the water flow stops. This avoids the misuse of taps which are left unattended (like at public places, corporate offices, etc). These avoids the misuse of taps which are left unattended ( like at public places, corporate offices, etc.) These Facets are the only ones that come with heavy-duty brass valves. We are offering SS Smart Faucet to our clients. The Smart Flush from Siemag is a full - featured 'Automatic Flush System'. A system that converts the urinal or toilet into a 'hands-free' operated fixture. The unique universal design of the 'Smart Flush' allows one to save water by identifying the application (whether urine or wc mode). An alternate manual flush hands-free option to is provided to complehands-free' operation in case of power failure It means that by upgrading the urinals and toilets with the 'Smart Flush', one can enjoy the advantages of an automatic flush system in an all-in-one easy to install the device. This is more value for money and a greater return on the investment. Manual Flush Function as an Alternate Flush Option Provided. Compact Angle Type Valve Design Eliminates Extra Fittings. Eliminates a Major Source of Cross - Contamination . 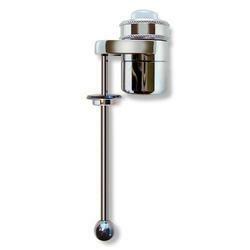 Adapts to Existing Urinal or Water Closet.